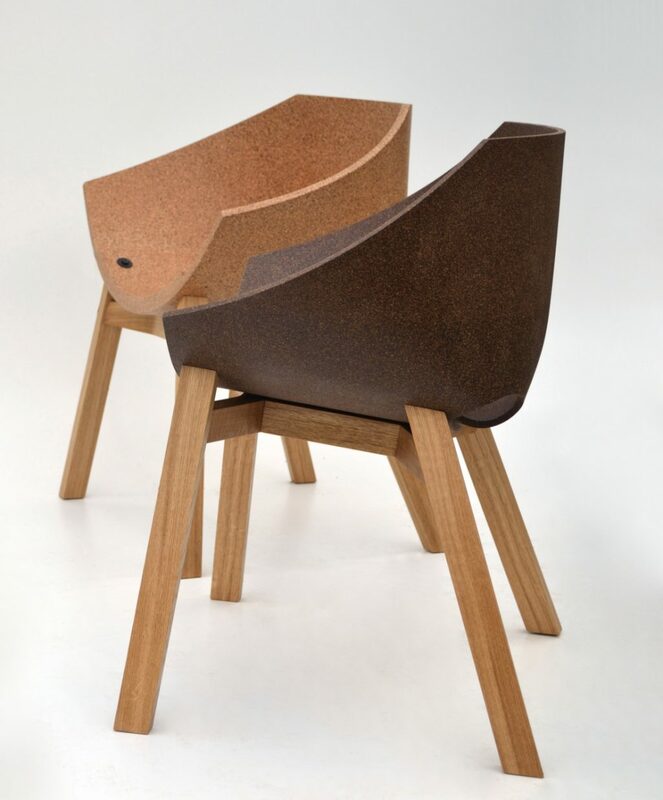 In 2013 Carlos Ortega Design introduces the new Corkigami chair, a design that takes its name from the process of folding a 2D material into a 3D object that you can actually sit in. I chose to write about this beautiful chair because it’s an attractive design made out of sustainable materials and easily recyclable. 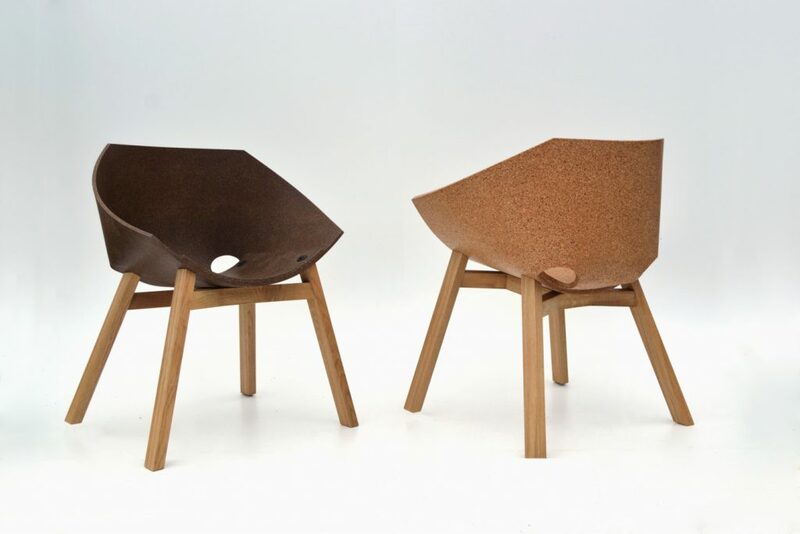 Cork is quite flexible and strong at the same time and this chair decided to push both of these properties to the limit. 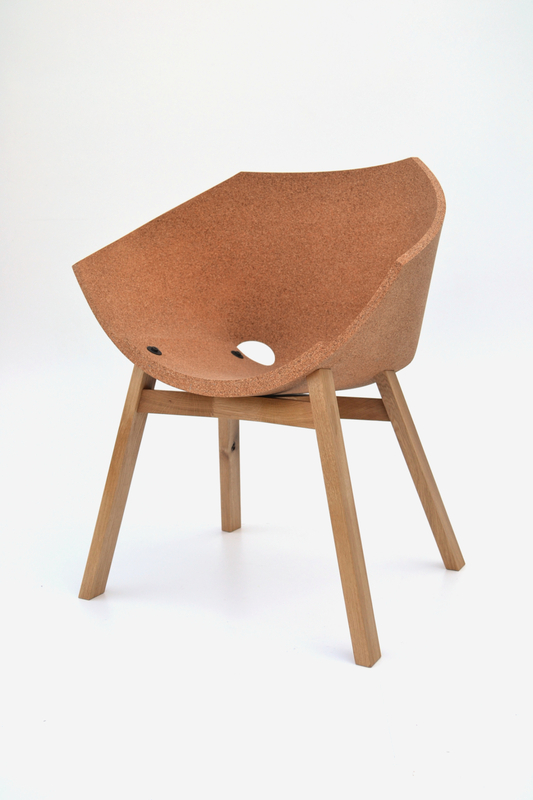 The end result is a lightweight, comfortable seat made entirely of natural, sustainable materials. 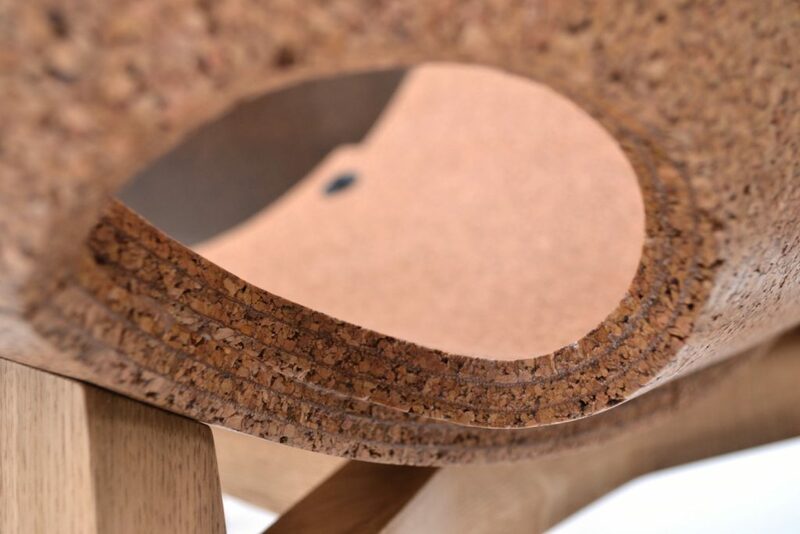 “As we started to imagine a seat made entirely out of cork, everyone said it was impossible,” explains lead designer Carlos Ortega. 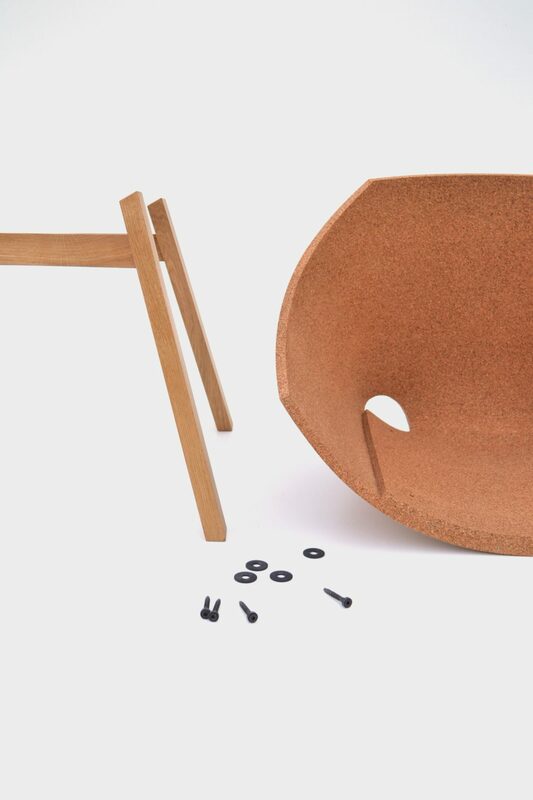 “Then we realized we had a challenge to work on.” The solution came in the form of a laminated cork shell, made from four layers of 4mm thick cork, held together with water-based PVA glue. 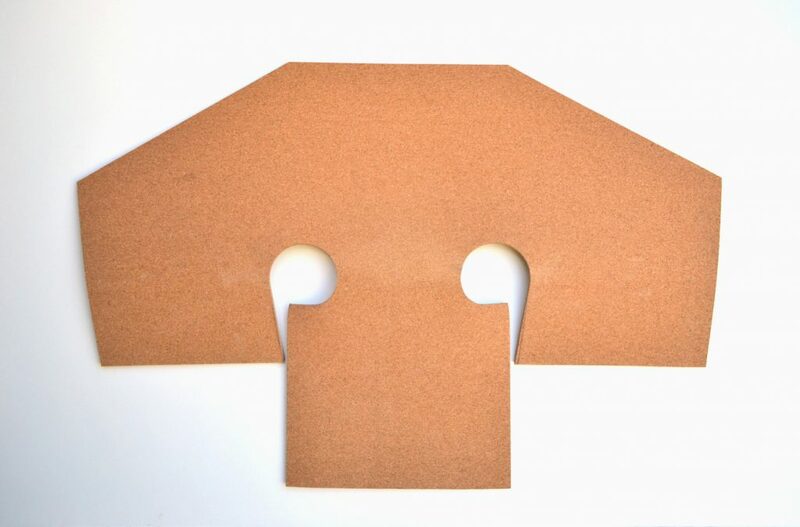 For the cork to take its shape, it’s cut from a flat sheet, folded and glued in place around a curved form. 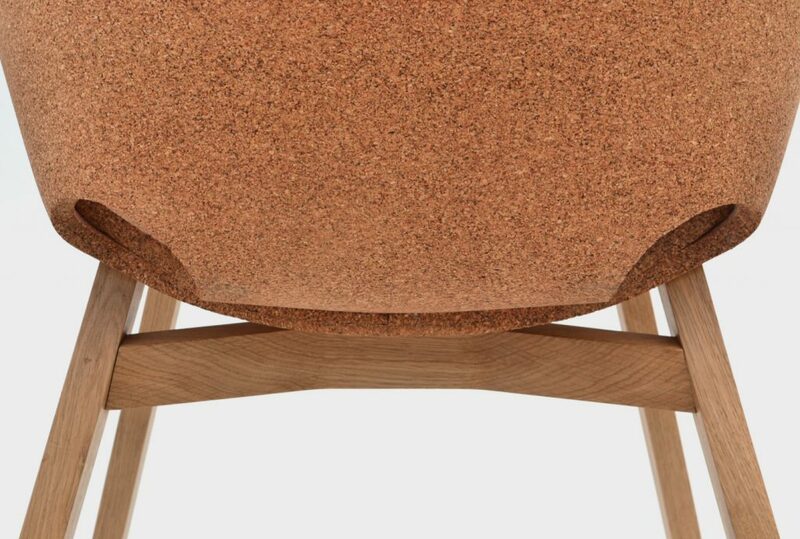 Cork makes for a comfortable seat structure that not only supports your body weight, it conforms to your body as you lean back. The shell rests on a solid oak stool, resulting a very attractive design. 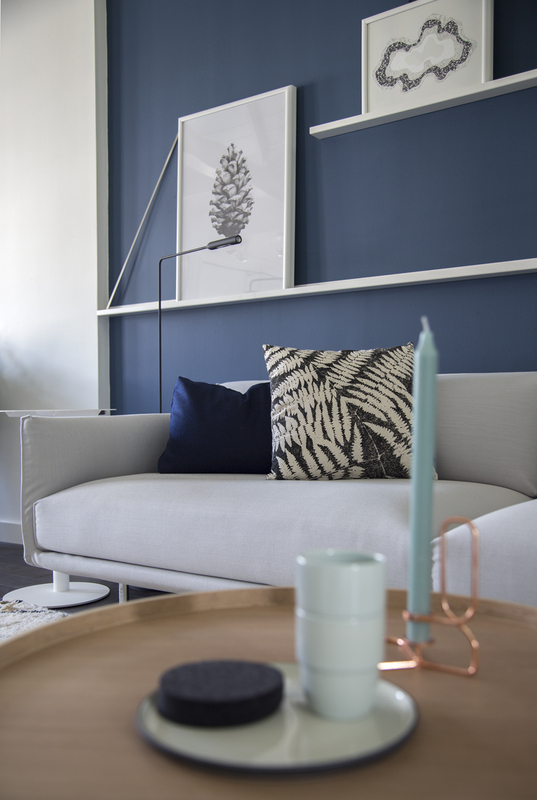 The cork happens to be the same color as the oak wooden legs creating continuity. Four simple screws connect the seat to the legs. 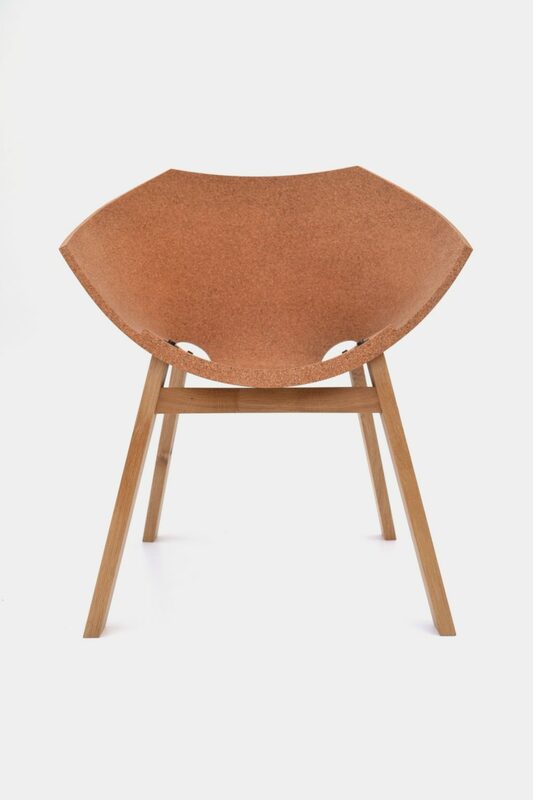 To protect the cork, a water-based varnish suitable for hardwearing surfaces such as cork floors is applied, it is very flexible and makes the chair durable.